Ultrablock provide blocks with easy installation to allow projects to be completed in a timely and cost effective manner. 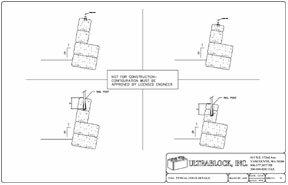 Check out Ultrablock details for drawings on different types of retaining walls. 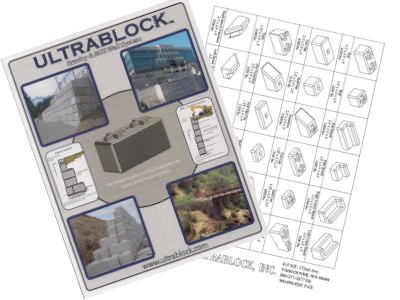 Ultrablock offers 18 types of various blocks to provide unique wall designs to meet project needs. To get block dimensions and weights visit our block library.